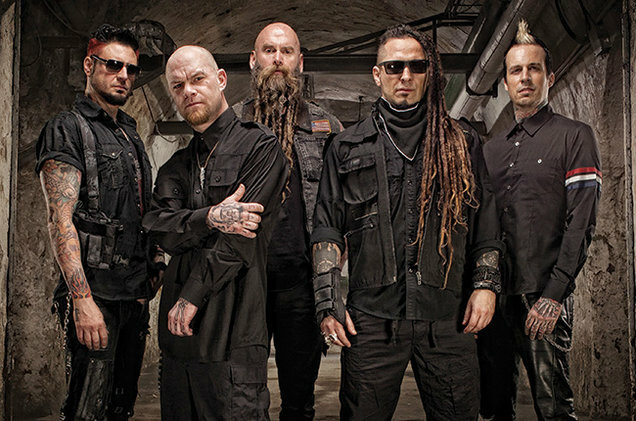 LA-based multiplatinum hard rock band, Five Finger Death Punch, (consisting of vocalist Ivan Moody, guitarists Zoltan Bathory and Jason Hook, bassist Chris Kael, and drummer Jeremy Spencer) are excited to unveil that they will be releasing a greatest hits album 'A Decade of Destruction' on December 1st. In conjunction with today’s announcement, the rock juggernauts have released one of the new tracks from the album, titled “Trouble”. You can to purchase via iTunes and stream on Spotify and Apple Music. Five Finger Death Punch are also thrilled to announce that they will be releasing their 7th full-length studio album in spring 2018 via Prospect Park Records in North America and Eleven Seven Music internationally. The album follows their critically acclaimed 2015 chart-topping hit album 'Got Your Six', which featured #1 single “Wash It All Away” and was certified gold in 2016.